We strongly believe in a collective approach to good agricultural practices, focusing on food safety, traceability and sustainable development, based upon feasible and accurate requirements for producers. Market demand should be the driving force; mutual recognition the focus enabling efficiency at producer level. VBT supports the collective approach in developing accurate standards with requirements to which individual producers will need to comply. 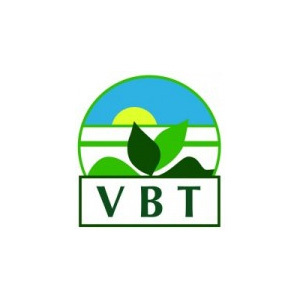 VBT (Association of Belgian Horticultural Cooperatives) is the sector organization of the Belgian marketing cooperatives for fruit and vegetables. VBT represents and defends, both nationally and internationally, the interests of its members. It cooperates with other organizations; it offers its members a platform for consultation and discussion; it provides relevant sector information and acts as service provider in certain specific areas. VBT and the marketing cooperatives have long been committed to sustainability. VBT has opted to assume a collective attitude to sustainable development. VBT holds the Responsibly Fresh collective sustainability label, in which its members, together with more than 3,500 active producers, participate: BelOrta, Belgische Fruitveiling, Limburgse Tuinbouwveiling, REO Veiling, Veiling Haspengouw and Veiling Hoogstraten. VBT has been traditionally represented in quality systems, specifically geared to primary production. It wants to endeavor on expanding existing systems in the direction of sustainable development. VBT is committed to further work on such collective adaptations in the GLOBALG.A.P. standards.